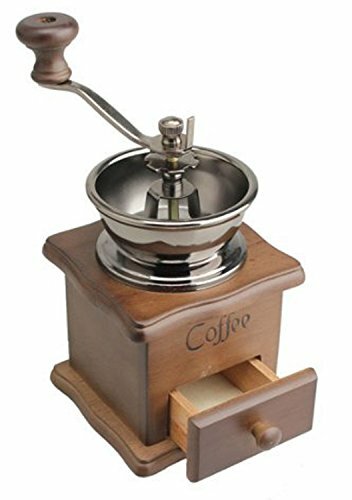 The Molmo Vintage Wooden Grinder is a manual grinder that is reminiscent of grinders from hundreds of years ago. 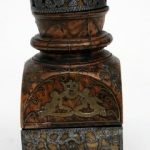 This grinder is based on a time when people would grind their own beans and cook over a fire. 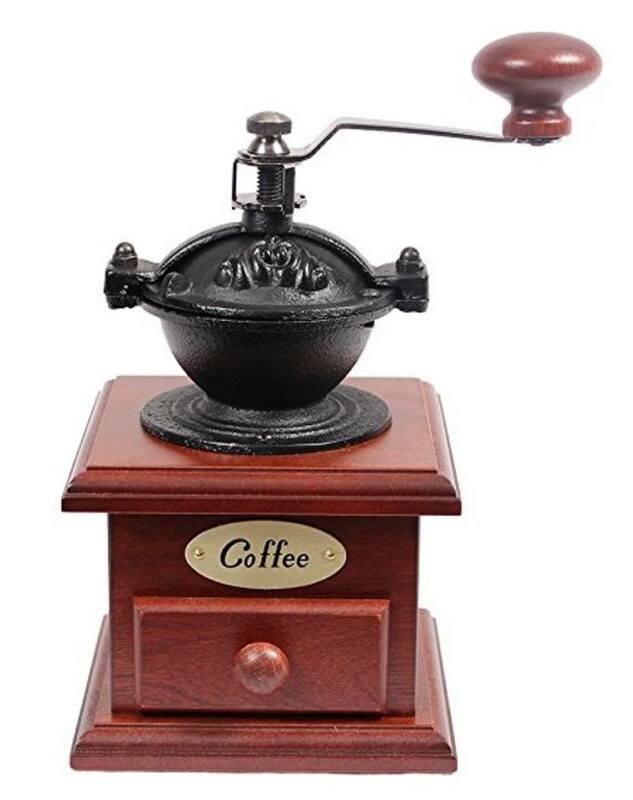 It’s a beautiful reproduction of a grinder that can actually be used to grind coffee beans. You don’t have to keep this on a shelf as decoration. It’s fully functioning and grinds well. 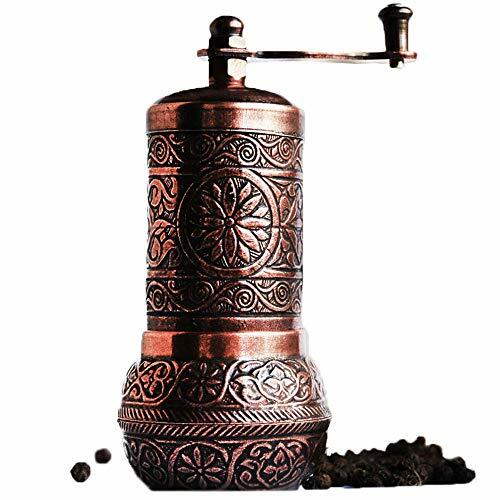 It provides a consistent grind that makes an incredible cup of coffee. When you grind your own coffee beans, you’re in charge of the taste of your coffee. It’s a wonderful thing for coffee lovers to have that control. There are many advantages to using Beech in this kind of product. The wood is incredibly hard. It was used in grinders back in the old days because it could hold its own against all kinds of abuse. It’s a light color that would often take on the coloration of a person’s handling of it over time. The same solid Beech used in this grinder is the kind of wood they use to construct houses. Those houses can stand the test of time. The grain of the wood is stunningly beautiful, too. The ceramic burr is better than a steel blade slicing and dicing your beans. The slicing actually creates heat. Once you’ve roasted and cooled your beans, you don’t want them cooked any further by the grinding. Steel burrs can also create heat, too. It can actually alter the flavor of your coffee in ways that you won’t like. Ceramic burrs are preferable to steel burrs or steel blades. While the difference might not be perceptible to some, deep coffee lovers will definitely notice. If you’re concerned about the taste of your beans before they even hit the coffee maker, you’ll want to purchase a grinder with ceramic burrs. 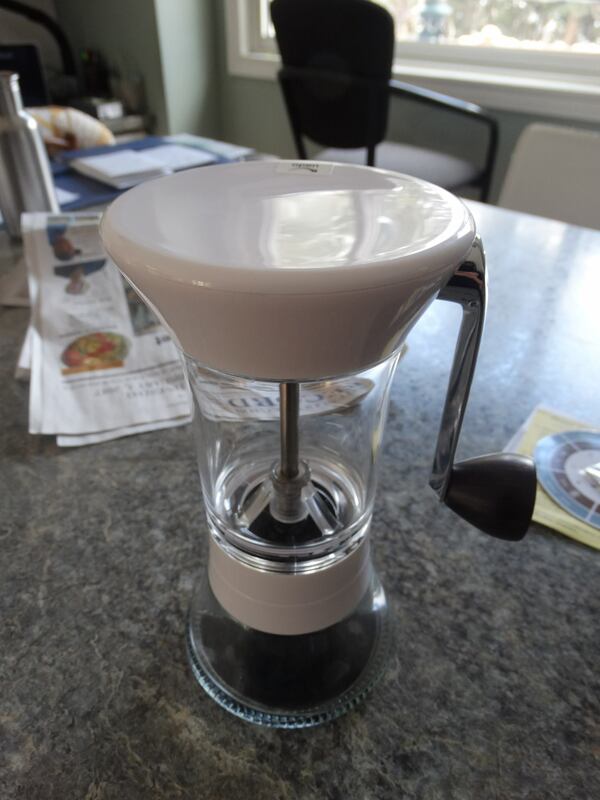 When you want a coarse grind for a French Press pot, or a fine grind for espresso, you’ll need to have a coffee grinder capable of making a variety of grinds. That can be done with an adjustment under the handle of the grinder itself. The grind size is what will set a good cup of coffee a step ahead of a mediocre cup of coffee. A lot of that comes from having a consistent grind. This is why the grinder is such an important part of the coffee-making process. With some grinders, you might have a few big pieces mixed among the finer pieces after you’ve spent time grinding your beans. The time it takes water to soak into the grind and release into the cup is what influences the taste. When you don’t have the perfect cup of coffee from the size of the grinds, it’s either over- or under-extraction. A ceramic burr grinder like this one from Molmo will keep its settings and grind consistently each time you use it. It should be a simple matter of cleaning out the unit with a small brush. You don’t want to leave grind in the edges of the drawer. That grind will be stale over some time, and can spill into your new coffee grind. You’d experience a weird taste of stale and fresh coffee intermingling. The design feels like you’ve taken a step back into time. It’s a time when people would sit around the fire and drink great coffee while having conversations. 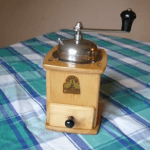 From the iron handle to the beautiful Beech wood, this reproduction of a vintage grinder is absolutely divine. It’ll become a talking point in your kitchen while you’re using it. Even if you don’t use it much, it can sit on your counter as a stunning decoration. What’s the size of the grinder? 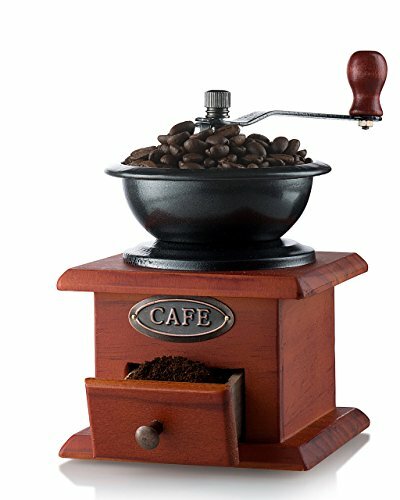 The grinder is 3.75 L x 3.75 W x 8” H.
How much does the grinder weigh? The Molmo grinder weighs 1.1 pounds. This will influence the cost of shipping in some cases. 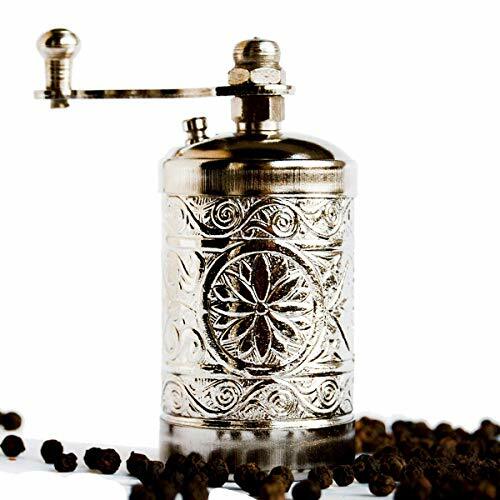 Can I use this to grind other things like peppercorns? You can certainly use this for other grinding opportunities like peppercorns, seeds, or oats. Always make sure to clean this as thoroughly as possible between ingredients, though. The Molmo Vintage Wooden Grinder is a antique-style grinder that doesn’t have to sit on your shelf at home as a decoration. 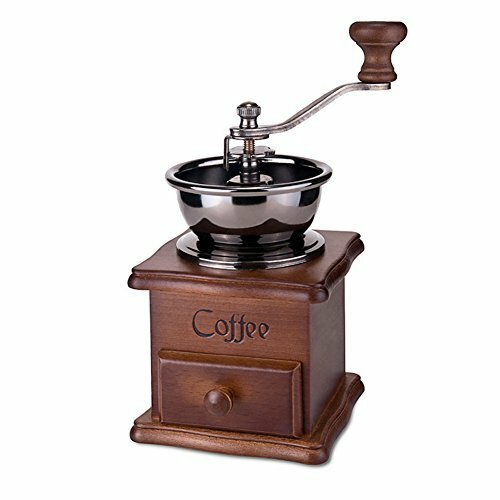 While it’s stunning enough for decoration alone, it can be used to grind coffee beans for great tasting coffee. The ceramic burrs are adjustable for a varied, consistent grind, too.